This is a collection of publicly available research papers on the effectiveness of yoga nidra. I have compiled this in good faith, including only those papers that I have been able to verify myself, and making the citations as complete and consistent as possible. This page, although one of the most comprehensive you may find online, is by no means exhaustive. This is a work in progress. If you have a resource you would like to add to this list, if you notice a resource that should not be here without permission or correction, or if you want to use this list as-is, please contact me. Thank you for your support. 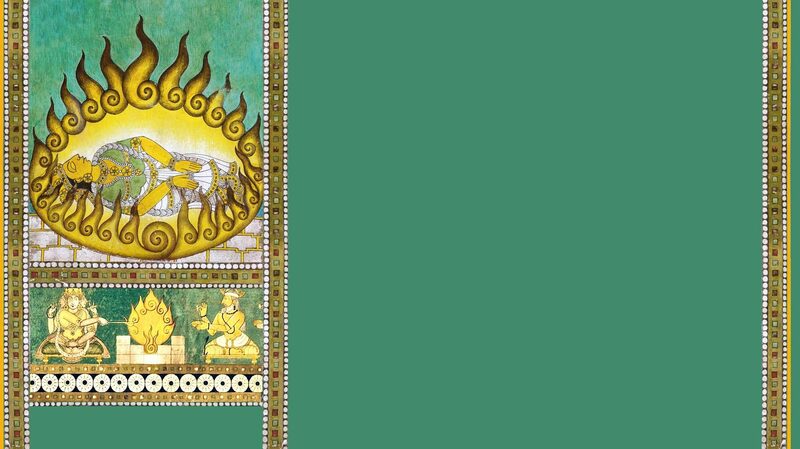 There is an extensive discussion of how yoga nidra works, along with details of scientific experiments, in Swami Satyananda’s authoritative book Yoga Nidra published by Yoga Publications Trust, Munger. I have not reproduced those papers here. PMID is a unique identifier that refers to PubMed, an index of citations and abstracts of biomedical/ lifesciences journal literature. You may access the abstracts. Full-text articles may or may not be available. PMCID is a unique identifier that refers to PubMed Central (not the same thing), a free indexed archive of full-text research papers on biomedical/ lifesciences journal literature. You may access the full-text articles. iRest refers to articles from the Integrative Restoration Institute. They have undertaken a lot of research on yoga nidra based on their secular work with different populations in the US. ResearchGate asks for a researcher login, but sometimes it lets you download full-text articles without one. (No authors listed). (2014). Accepted Common Interest Community (CIC) proposals. International Journal of Yoga Therapy, 24, 48-59. Holliday, S. B., Hull, A., Lockwood, C., Eickhoff, C., Sullivan, P., Reinhard, M. (2014). Physical health, mental health, and utilization of complementary and alternative medicine services among Gulf War veterans. Med Care, 52(12 Suppl 5):S39-44. doi: 10.1097/MLR.0000000000000223. Kumar, K. (2014). A study on the effect of yogic intervention on anxiety among youth. New Delhi: National Conference on Yoga for Youth at Morarji Desai National Institute of Yoga. Eastman-Mueller, H., Wilson, T., Jung, A.-K., Kimura, A., & Tarrant, J. (2013). iRest Yoga-Nidra on the college campus: Changes in stress, depression, worry, and mindfulness. International Journal of Yoga Therapy, 23(2), 15–24. Parker, S., Bharati S.V., Fernandez, M. S. (2013). Defining yoga-nidra: Traditional accounts, physiological research, and future directions. International Journal of Yoga Therapy, 23(1), 11–16. See paper here (PDF, 214kb). Rani, M., Singh, U., Agrawal, G. G., Natu, S. M., Kala, S., Ghildiyal, A., & Srivastava N. (2013). Impact of yoga nidra on menstrual abnormalities in females of reproductive age. The Journal of Alternative and Complementary Medicine, 19(12), 925-929. doi: 10.1089/acm.2010.0676. Monika, Singh, U., Ghildiyal, A., Kala, S., & Srivastava, N. (2012). Effect of Yoga Nidra on physiological variables in patients of menstrual disturbances of reproductive age group. Indian Journal of Physiology and Pharmacology, 56(2):161-167. Markil, N., Whitehurst, M., Jacobs, P. L., Zoeller, R. F. (2012). Yoga nidra relaxation increases heart rate variability and is unaffected by a prior bout of Hatha yoga. The Journal of Alternative and Complementary Medicine, 18(10), 953-958. doi: 10.1089/acm.2011.0331. Rani, K., Tiwari, S., Singh, U., Agrawal, G. G., Ghildiyal, A., & Srivastava, N. (2011). Impact of yoga nidra on psychological general wellbeing in patients with menstrual irregularities: A randomized controlled trial. International Journal of Yoga, 4(1), 20–25. doi:10.4103/0973-6131.78176. Lou, H. C., Skewes, J. C., Thomsen, K. R., Overgaard, M., Lau, H. C., Mouridsen, K., & Roepstorff, A. (2011). Dopaminergic stimulation enhances confidence and accuracy in seeing rapidly presented words. Journal of Vision, 11(2), 11(2), ii-15. doi: 10.1167/11.2.15. Stankovic, L. (2011). Transforming trauma: A qualitative feasibility study of integrative restoration (iRest) yoga nidra on combat-related post-traumatic stress disorder. International Journal of Yoga Therapy, 21(21), 23–37. Amita, S., Prabhakar, S., Manoj, I., Harminder, S., Pavan, T. (2009). Effect of yoga-nidra on blood glucose level in diabetic patients. Indian Journal of Physiology and Pharmacology, 53(1), 97-101. Nassif, T. H., Norris, D. O., Soltes, K. L., Sandbrink, F., Blackman, M. R., & Chapman, J. C. (2015). Using mindfulness meditation to improve pain management in combat veterans with traumatic brain injury. Shearing, J. R., Anderson, K., & Wilson, T. (2014). iRest Integrative Restoration, a meditative approach to healing: Bringing calm and ease to survivors of intimate partner violence and/or stalking. Nassif, T. H., Norris, D. O., Soltes, K. L., Blackman, M. R., & Chapman, J. C. , & Sandbrink, F. (2014). Evaluating the effectiveness of mindfulness meditation for chronic musculoskeletal pain in U.S. veterans using the Defense and Veterans Pain Rating Scale (DVPRS). Hartman, C. (2014) Exploring the experiences of women with complex trauma with the practice of iRest Yoga Nidra. San Francisco, CA: California Institute of Integral Studies. Bhogaonker, P. (2013). Impact of brief meditation training on stress, distress, and quality of life for homeless adults. San Francisco, CA: California Institute of Integral Studies. Borchardt, A. R., Patterson, S. M., & Seng, E. K. (2012). The effect of meditation on cortisol : A comparison of meditation techniques to a control group. Ohio University Department of Psychology. Kumar, K., & Pandya, P. (2012) A study on the impact on ESR level through yogic relaxation technique yoga nidra. Indian Journal of Traditional Knowledge, 11(2), 358-361. Bingham, M., Peacock, W.,P., Fritts, M. J., Walter, J. A. G. (2011) Effects of integrative restoration (iRest®) on sleep, perceived stress and resilience in military medical center healthcare providers: A pilot study. Halpern, J. S., (2011). Yoga for improving sleep quality and quality of life of older adults in a Western cultural setting. Victoria, Australia: R.M.I.T. University. Kumar, K. (2010). Psychological changes as related to yoga nidra. Psichologui praktikui, 6, 129-138. Kumar, K. (2010). A study on the effect of yogic intervention on anxiety. Yoga Vijnana, 3(1-4), 60-63. Kumar, K., (2008). A study on the impact on stress and anxiety through Yoga nidra. Indian Journal of Traditional Knowledge, 7(3), 401-404. Vieten, C. (2008). Results of yoga nidra/ iRest yoga nidra to reduce stress in homeless shelter residents with a history of trauma. Institute of Noetic Sciences and Committee on the Shelterless (COTS). Gray, K. (2008). Effect of iRest/ yoga nidra on a college student population. Evergreen College. Engel, C., Goertz, C. G., Cockfield, D., Armstrong, D. W., Jonas, W., Walter, J. A. G., . . . Miller, R. (2007). Yoga nidra as an adjunctive therapy for post-traumatic stress disorder: A feasibility study. Samueli Institute and Walter Reed Army Medical Center. Kumar, K. (2006). A study of the improvement of physical and mental health through yoga nidra. Dev Sanskriti, 4. Lou, H. C., Nowak, M., Kjaer, T. W. (2005). The mental self. Progress in Brain Research, 150, 197-204. Kumar, K. (2005). Effect of yoga nidra on hypertension and other psychological correlates. Yoga the Science, 3. Kjaer, T.W., Bertelsen, C., Piccini, P., Brooks, D., Alving, J., & Lou, H.C. (2002). Increased dopamine tone during meditation-induced change of consciousness. Cognitive Brain Research, 13(2), 255–259.